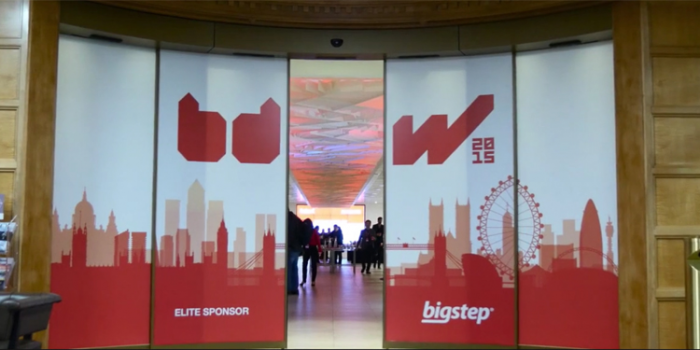 Big data cloud provider Bigstep announced it would power two Big Data Week conferences in Chicago and London this fall. Bigstep will champion the two “Big Data in Use” conferences to assemble key influencers and experts and examine how big data is used in practical business scenarios. “With transformative technologies like big data, it’s sometimes easy to get lost in the hype and potential,” said Lucas Roh, founder and CEO of Bigstep. “Big Data Week goes to the heart of big data, highlighting specific use cases and lessons learned from practitioners across industries. By cutting through the hype, Big Data Week helps organizations make sense of big data – allowing them to capitalize on all of their data,” said Roh. Big Data Week is a global festival of interconnected community events focusing on the social, political and technological impact of data and bringing together more than 6,000 participants. The conferences in Chicago and London will anchor this year's Big Data Week. This is the first year that Bigstep will bring Big Data Week to Chicago, where universities, high-profile startups and larger enterprises have established a robust big data culture. Cleversafe's Founder Chris Gladwin and Narrative Science's Chief Product Officer Chetan Ghai will be among the keynote speakers at the city’s first Big Data Week conference on September 21. For the fifth consecutive year, London will host the “Big Data in Use” conference on October 27. Last year, more than 300 big-data professionals gathered to explore use cases in retail and the Internet of Things. This year, the event will address four additional industries: finance, healthcare, entertainment and travel. With keynotes from big-data practitioners at Google, Facebook, TripAdvisor and Shazam, attendees will leave with a better understanding on how big data is leveraged from both a business and technology framework. Tickets for both events are available now.